Leopold (Herve) Chretien, age 92, passed away peacefully on March 15, 2019. He was a life long resident of Biddeford, Maine. Born April 18, 1926 he was the son of the late Joseph and Florida (Cantara) Chretien. He was the last surviving member of his family, predeceased by his Eleven brothers and sisters: Raoul, Annette, Roland, Lorraine, Lucienne, Stella, Pauline, Marie, Donald, Blanche and Henry. He is lovingly survived by numerous nephews and nieces, grand-nephews and grand-nieces. For over 70 years, Leopold lived at various times with his sisters Blanche and Stella and brother Donald in Biddeford and Saco and was an integral part of their families. He also was very close to all of his nephews and nieces and was part of many of their family gatherings, celebrations and activities. Leopold attended St. Joseph School. He worked for many years at the Kesselen Shoe Company in Kennebunk and at Sebago Shoes. He was a life-long member of L’Union St. Jean Baptiste and St. Louis Alumni Association. He proudly spent a vast amount of his time contributing to the community in various behind the scenes capacities. For over 50 years, he was the vice president of L’Union St. Jean Baptiste (St. Jean’s) and in that capacity he managed the facility, ran the bar and scheduled events. He was an avid cribbage player and organized and ran the Elks-St. Jean’s weekly cribbage tournament and banquet for 63 years. He was an avid sports fan rooting for the Red Sox, Patriots, Celtics, and Bruins. 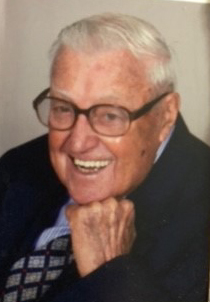 He was a long-time supporter of the St. Louis Eagles as a member of the St. Louis Alumni Association. His 50-plus year involvement in the association included working at the football games making 1000 boxes of popcorn the night before a game and working at the gate the day of a game. He also worked in the winter at the skating rink. He virtually attended every home and away football game of the Eagles. When the school closed, he followed the Biddeford High School sports teams. He also attended many college and professional sports games throughout his life. For years, he continued playing cribbage and watching sports events in the tv room at St. Jean’s and the Alumni Hall where he maintained connections with his long-time friends. Visiting Hours will be 8 -9:30 a.m. on Saturday, March 30, 2019 at Hope Memorial Chapel, 480 Elm Street, Biddeford, ME 04005. A Mass of Christian Burial will be celebrated at 10 a.m. on Saturday at St. Joseph’s Church in Biddeford . Burial will be in St. Joseph’s Cemetery in Biddeford. To share condolences online, please visit www.HopeMemorial.com. Donations in his memory can be made to St. James Elementary School Scholarship Fund, 25 Graham Street, Biddeford, Maine, 04005.